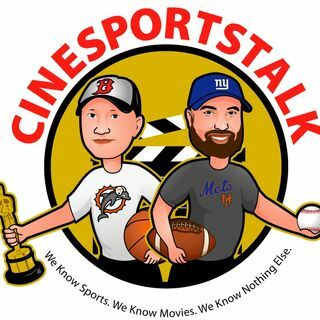 CineSportsTalk is getting into audio reviews! Ralph and Kyle breakdown Marvel Studio's "Captain Marvel", Directed by Anna Boden and Ryan Fleck and starring Brie Larson, Samuel L Jackson and Jude Law. This will be a weekly show on the CST Radio network, so look out for more reviews and content!